It doesn’t matter whether you’re looking forward to improve your existing digital marketing platform or to develop brand new ecommerce stores, we’re there to help you. You can access the expertise of our multi-disciplinary team including UX (User Experience) experts, Digital Marketing experts, Quality Analysts, and of course Creative Designers. At Peregrine, we believe that the quality of your online retail store is partly judged by its layout. If you are determined to work with us, then we will guarantee improved customer engagement across channels through proper site streamlining and product management. 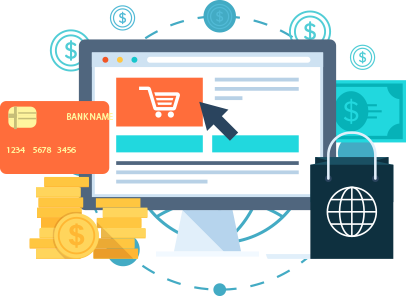 Our services are not restricted to just developing remarkable e-commerce websites for you. We offer full maintenance of sites and assistance at every level of operation. The quality processes embraced by us have been certified by ISO 9001 and ISO 27001. IP data protection and uncomplicated NDA processes are other notable attributes of our business. Interactive marketing is the need of the hour. E-commerce makes for an important part of the global economy today. However, not all e-commerce stores out there are raking in profits. Not all of them are engaging customers equally successfully across diverse platforms. We can proudly proclaim that we have what it needs to convert your e-commerce dreams into reality.